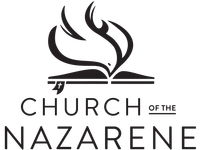 We are a part of the worldwide Church of the Nazarene, a Protestant Christian denomination founded in 1908. Our mission is to make Christ-like disciples in the nations. These Articles of Faith form the heart of what we believe about who God is and what He has done in and for His creation. We believe that the grace of entire sanctification includes the divine impulse to grow in grace as a Christlike disciple. However, this impulse must be consciously nurtured, and careful attention given to the requisites and processes of spiritual development and improvement in Christlikeness of character and personality. Without such purposeful endeavour, one’s witness may be impaired and the grace itself frustrated and ultimately lost. Participating in the means of grace, especially the fellowship, disciplines, and sacraments of the Church, believers grow in grace and in wholehearted love to God and neighbour. The mission of the Church in the world is to share in the redemptive and reconciling ministry of Christ in the power of the Spirit. The Church fulfils its mission by making disciples through evangelism, education, showing compassion, working for justice, and bearing witness to the kingdom of God. The Church is a historical reality, which organises itself in culturally conditioned forms; exists both as local congregations and as a universal body; sets apart persons called of God for specific ministries. God calls the Church to live under His rule in anticipation of the consummation at the coming of our Lord Jesus Christ. We believe in future judgement in which every person shall appear before God to be judged according to his or her deeds in this life.